Things like customer track record, automated update of customers, and maintenance of log history becomes easy with Stingo. This software allows you to send commercial quotations in email and PDF format. It will also facilitate offline download of quotations on your computer. Make easy purchase orders through Stingo for procuring products and services from your vendors and buyers. 1)	Billing for direct sales from lead. 2)	Billing for sales through quotation. Through Stingo CRM you can have a complete control on your invoice design. It is a best billing and invoice software for small businesses. The software has an automated system which helps to create complaint and maintain its complete record. It sends SMS to customers which help in complaint tracking. Through CRM, you can add a product category, sub category, and unlimited products. User will be able to view product details and price. As per taken package, the admin can manage all users and can even assign roles according to given permission. With Stingo you can manage numerous business related reports like Sales report, purchase report, lead and billing reports by data wise and user wise. Customers with real-time analytics to optimise each Campaign. Sales team more productive, that works how your customers evaluate. 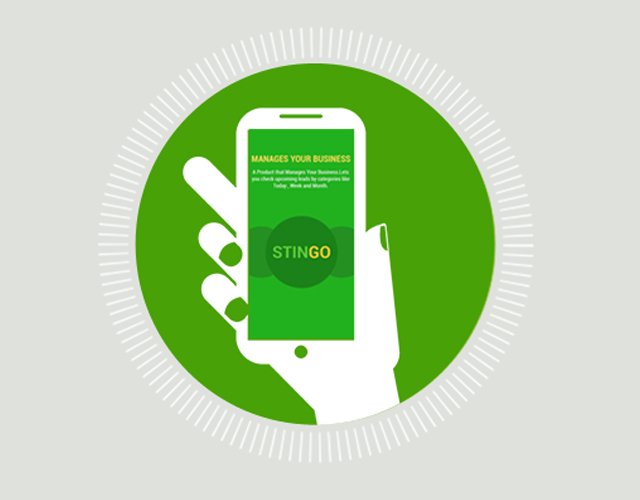 Mobile app allows you to take Stingo on the road with you wherever you go. Use Stingo to get a 360° view of your prospects and their relationships. In today’s time of technological advancements, such software’s can prove extremely helpful for small businesses. 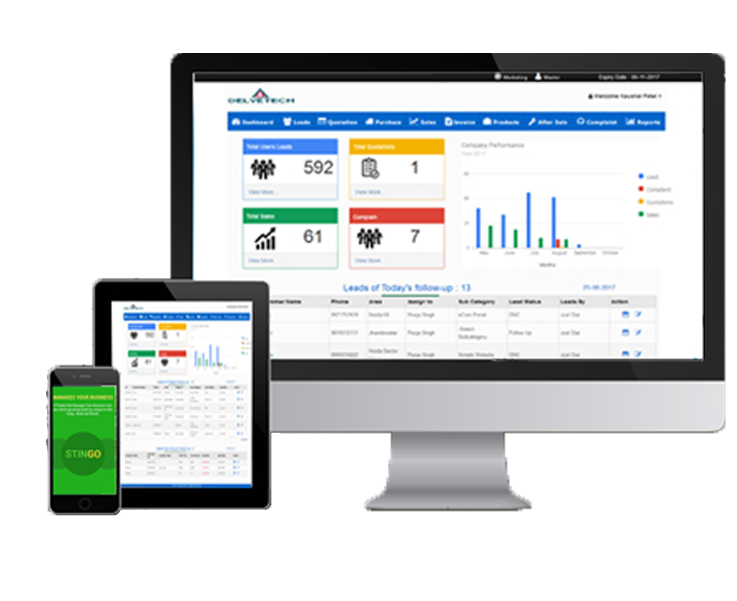 Leads, sales, complaints, orders, bills & invoice can be managed easily ensuring a hassle free smooth functioning of small businesses. Any small to big changes in economy of the country have a great impact on small businesses but with the help of information technology, they can manage to handle all the twist and turns with ease. Thank You for the continuous updates and for making Stingo such an amazing.